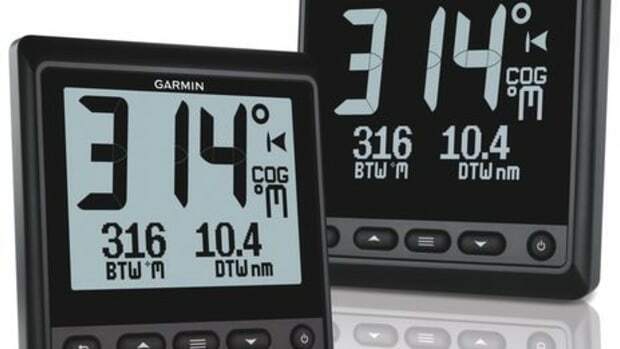 Over the weekend, Garmin announced the $900 7-inch GNX 120 and the $1,500 10-inch GNX 130 (above) with planned delivery in February and May respectively. 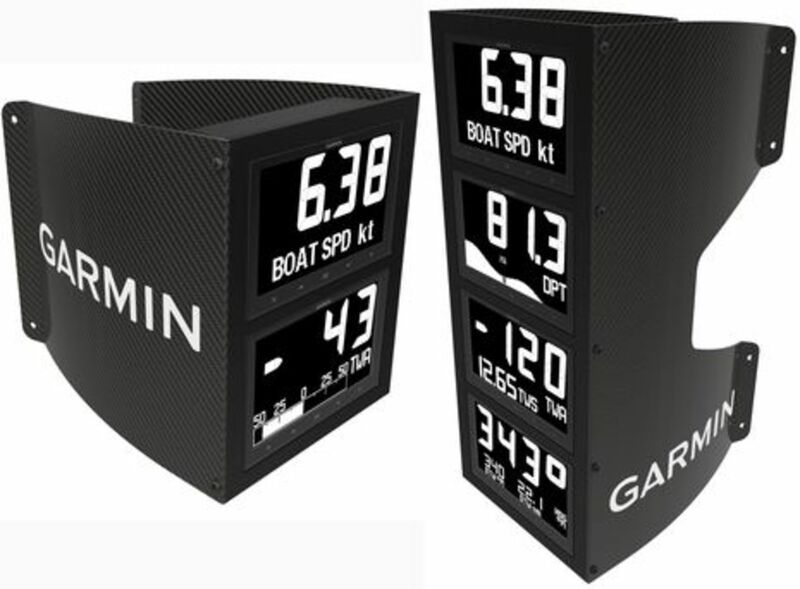 Over the weekend, Garmin announced the $900 7-inch GNX 120 and the $1,500 10-inch GNX 130 (above) with planned delivery in February and May respectively. 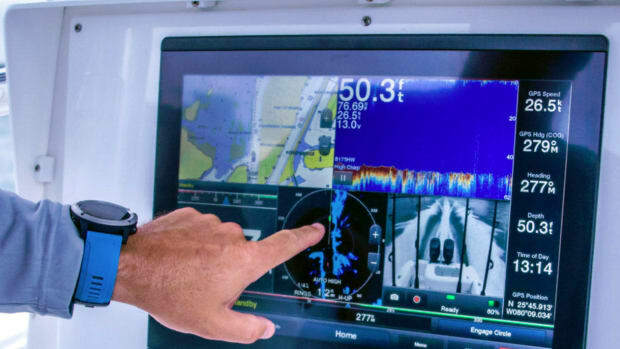 They use what&apos;s called "high-precision glass-bonded monochrome ultra-glow LCD displays" and the data backlighting can be switched to most any color. 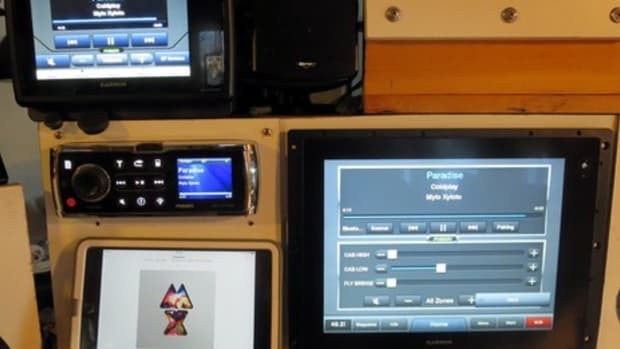 Set up is done with those onscreen touch buttons or with a new GNX Keypad. 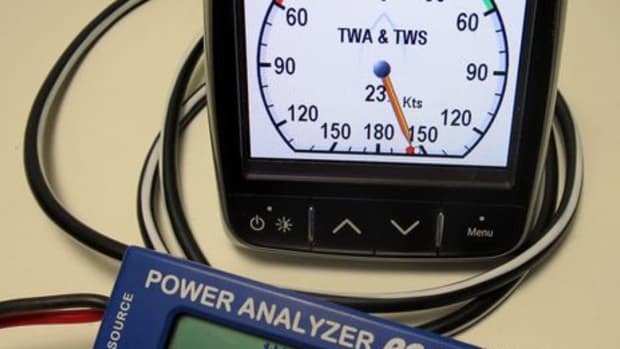 Over 50 NMEA 2000 data types will be recognized and there will be five display configurations including "single, dual and triple functions, plus Gauge and Graph mode." 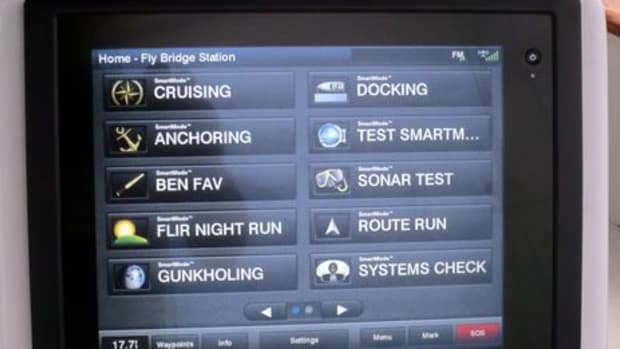 I can picture these displays becoming popular on high-end motor yachts -- much as B&G instruments have earned space on many megayacht bridges -- but obviously the focus is performance sailing. The top portion of the big "hybrid" LCDs seem to use efficient segmentation while pixels on the lower portion permit graphics and the whole power load is said to be less than 0.4 Watts night or day for either size. 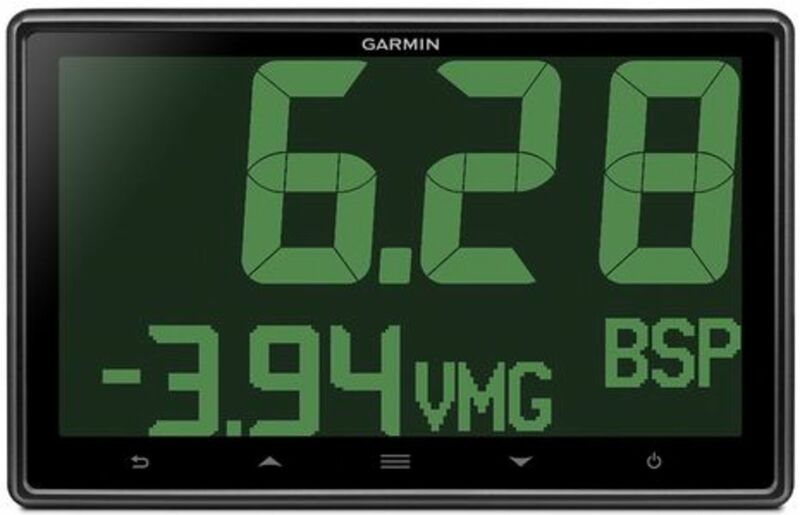 Note that the "256" and "78" on the depth screen above are max/min for the graph time period, which is user configurable. 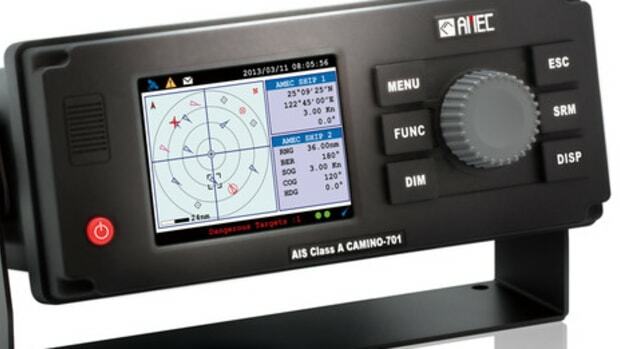 There is more detail on the GNX 120 and 130 product pages that literally just went live, though I don&apos;t yet see anything about the carbon fiber mast bracket accessories seen below. 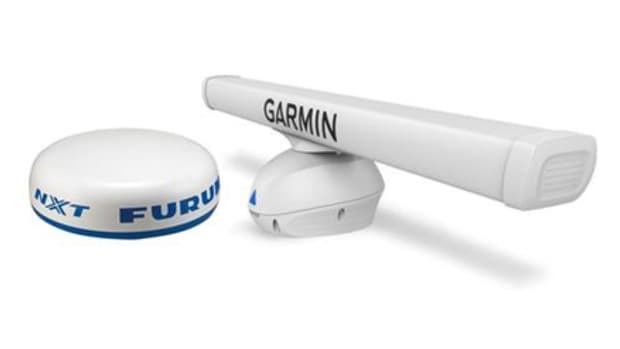 This week Garmin also released a major software update that includes (for some MFDs) the Start Guidance feature I recently described. 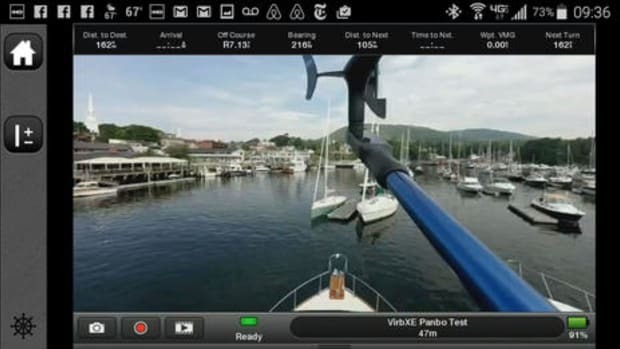 Now I&apos;m wondering if the commenter or two who opined that Garmin wasn&apos;t serious about sailboat racing would like a do-over ;-). 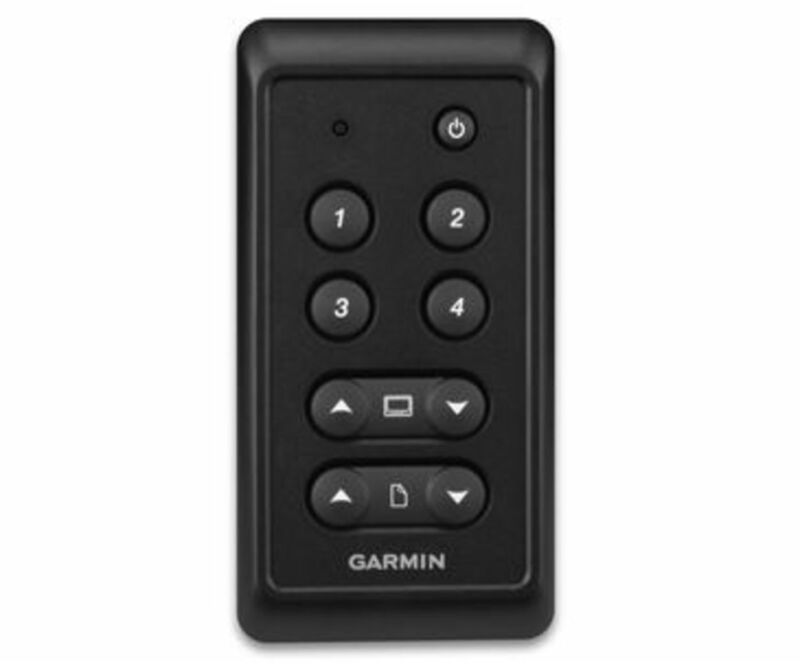 PS: Here&apos;s a better look at how the GNX Keypad will look. The four numbered buttons apparently control display presets, though I think you switch them one display at a time. 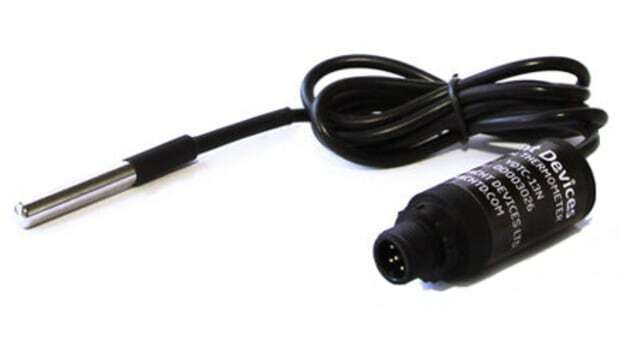 Also, I think this remote is NMEA 2000 wired but not certain.